Here are the user reviews for the Best Touchscreen Laptops. While back we saw Microsoft launch the Windows 8 touch screen computers sand it was very clear that they have made an attempt to take people out of the confines of touchpad and keyboard and focus on touch inputs. It received mixed responses from people. Those who upgraded to windows 8 on their old laptops or PCs without a touchscreen were the ones who hated it most. But those who decided to upgrade to a touchscreen laptop fell immediately in love with the finger friendly interface of Windows 8. It is not only the Windows 8 which has made the transition to touch. There are a lot of Linux distros like the Ubuntu which have started to transform into a touch friendly operating system. There is no escaping from the fact that very soon it will become a standard feature on mainstream laptops. Having a capacitive touchscreen on a laptop really boosts its potential applications. The new touch focused operating systems are much easier to use with a touch screen. Also they have added many applications that make use of touch screen for various functions. There are many tasks that become easier with a touchscreen on your laptop. Like take for instance web browsing or watching videos. It is easier to scroll or zoom on a web page with a touchscreen. On a touchscreen, you can easily jump timeline while watching a video. Touchscreens, by no way are meant to replace the conventional keyboard and mouse but they surely complement the setup in a much better way. We take a look at some touchscreen laptops that are available on the market today and how is it like to live with them. It is one of the best touch enabled laptops you can buy. It is very sleek, stylish and surely a feast to behold. It has a 13.3 inch full HD display with IPS panel. The colour replication and viewing angles are superb. The touch response is superb and it is effortless to operate. The keyboard is well spaced and is easy to use. It is the same story with the touchpad. It is powered by an Intel Core i5 processor running at a clock speed of 1.7 GHz. Graphics are handled by the onboard Intel HD 4000 GPU. It comes with 4 GB of RAM and 128 GB SSD. 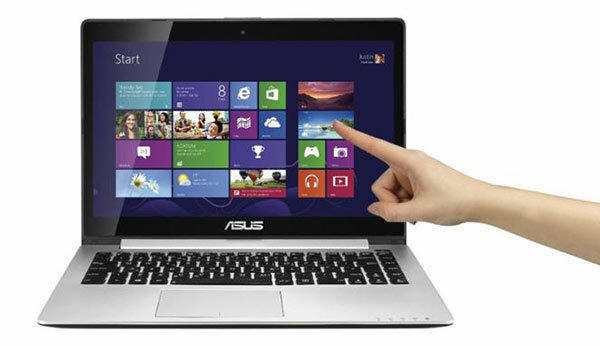 It is another great touchscreen laptop which can be used in many ways. They have made it flexible in terms of design and have provided a nice hinge so that you can use it in different ways. You can use it as a laptop or turn it around and close it to use it as a tablet. Though a 13-inch display is too big to use it comfortably as a tablet. The display has got a good resolution of 1600 x 900 and it looks pretty good. It is powered by an Intel Core i5 processor and has got 4 GB of RAM. You get USB 2.0 and 3.0 ports for connectivity and it has got HDMI output. You get 128 GB of storage from a solid state drive. The laptop gives you a decent battery life of around 5-6 hours which is pretty good. This is Sony’s contender in the war of touch laptops. It is a large laptop with a 15.5 inch full HD display which looks stunning. 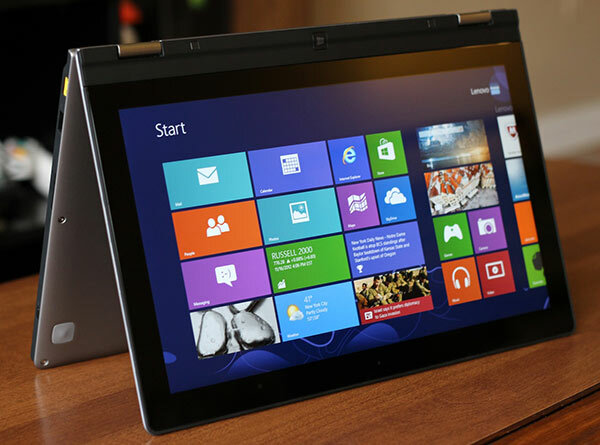 Unlike the Lenovo Yoga, it isn’t meant to be flipped around and played with. 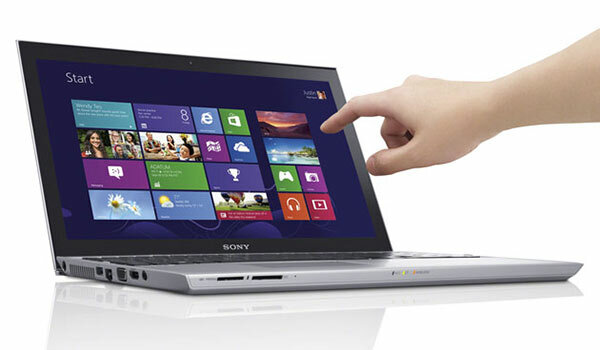 It looks typically Sony and has been finished in brushed aluminum. Having the usual ultrabook dimensions, it doesn’t compromise on features like optical drive or connectivity ports. It is powered by an Intel i5 processor running at 1.87 GHz. It has got 8 GB of RAM. You don’t have to compromise on storage as it hasn’t got a small SSD. Instead it gets a standard 750 GB HDD with 24 GB SSD cache. This is another great buy made by Asus. With this laptop, you get an excellent balance of performance, practicality and value for money. The display is 14.1 inch in size and has resolution of 1366 x 768. Though it is less than what you would find on other touch laptops, it is priced considerably lower. 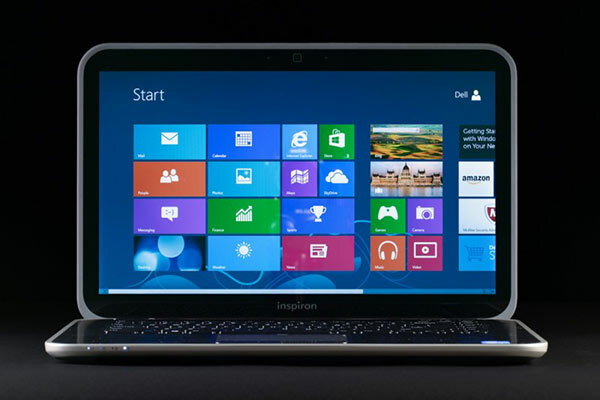 It is powered by an Intel i3 processor and gets 4 GB of RAM and 500 GB of HDD. It doesn’t miss on connectivity ports and has got everything you might need including USB, Ethernet, VGA and HDMI.The body is done in aluminum and they have kept the thickness down. The keyboard and touchpad are comfortable and you get a reasonable battery life of over 3 hours. This laptop is a great deal if you are on a restricted budget and you need a touch laptop. This is another all-rounder best laptop that made it to our list. It is larger and heavier as compared to other touch laptops. The design is attractive and it has got a spill resistant keyboard. The display on this device measures 15.6 inches and has been put to look like it has got no bezel. Even though the display resolution is on lower side at 1366 x 768, it is still pretty good. It runs an Intel i5 processor and has got 6 GB RAM. While it has got all the connectivity ports you look for, it also supports Intel Wireless Display technology to beam audio and video directly to a large display. It has got a 500 GB HDD with 32 GB SSD cache to boost speeds. This is another practical, not so costly laptop you might want to consider. 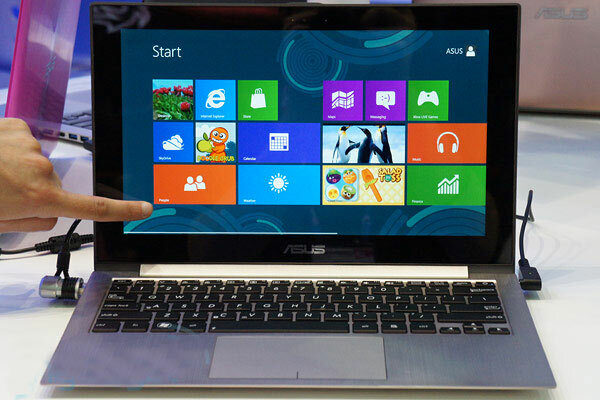 It is one of the best windows 8 touch screen laptop. There are many other good touch laptops and best windows 8 touch screen laptops available in the market for you to choose. There are some other options too that offer even more powerful hardware so you can use those best laptops for business. And then there are more hybrids if that is your kind of device.